Please remember this info isn't official and based on info from various sources. As the Mercury News article says, the Xbox 2 will use 3 64-bit processors. But we'll give you even more details. They'll be PowerPC processors, based on the PowerPC 976, the first dual-core 97x chip based on the POWER5 architecture, which will also be the first PowerPC built on a 65nm manufaturing process. Each core is capable of processing two threads, thus meaning the whole system can process six threads simultaneously. The graphic chip will be based on the the R500. This VPU has been in design at ATIâ€™s Marlborough, Mass. office. It'll be fully compatible with PS and VS 3.0 and the next version of DirectX 9: DX10, the same api that will be used in Longhorn. What nobody is telling you and you'll know about this first, here on TeamXbox, is the revolutionary approach of the Xbox 2 to deal with today's biggest problem in graphics chips: memory bandwidth. The graphic chip will contain not only a graphics rendering core but up embedded DRAM acting as a frame buffer that is big enough to handle an image that is 480i and can be 4 times over sampled and double buffered. Yeah, we all remember Bitboys but this time you can bet this if for real. This solution will finally make possible HDTV visuals with full screen Anti-Aliasing on. The technology also supports up to 512 MB of external memory on a 256-bit bus. However, current specs plan to use 256 MB RAM, big enough for next-generation visuals which are all about computational power rather than large storage. Compatibility with the original Xbox, which is based on Intel and Nvidia chips, isn't guaranteed. Microsoft is concerned it would cost too much money in hardware or in licensing fees to enable the Xbox Next to play old Xbox games. This is risky in part because Sony's strategy has been to maintain compatibility with its old consoles. The current Xbox has an eight-gigabyte hard disk drive. That drive is useful for online games and storing game art, but many developers chose not to make use of it. As a result, Microsoft seems to have decided that saving the $50 the hard drive costs outweighs its benefits. Don't believe everything you read. This is certainly the case regarding a lot of speculation that is currently flying around regarding the specifics of the Xbox 2. However, by collecting various bits of information it is possible to establish a few more than possible predictions of what is to come. Many have been discussing the rumors that the Xbox 2 will lack a hard disk, but this may not necessarily be true. Others have also been saying that a waiting game is being played between Microsoft and Sony, in which one side is merely waiting to see what the other does before making a decision. Again, this is most likely not true. Both companies are sure to have pretty solid ideas of just how they want their console hardware to be designed. Many of our questions are more likely than not already answered, and the question that remains is when will these facts be officially supported by the designers. While we canâ€™t give you any official information, we can give you a hint based on what we have come to know by deductive reasoning. Do you physically need a hard disc to store content? Consider this; in the case of Xbox Music Mixer, do you need the files to be stored in your Xbox? Answer that for yourself and you might just have sufficient info to put this question to restâ€¦at least for now. The fact is that Xbox 2 could be backwards compatible using emulation. Microsoft already owns VirtualPC, which allows PowerPC architectures to run Microsoft Windows applications. However, the problem is that, although Microsoft owns the DirectX API and the Windows kernel, it doesnâ€™t own the nVidia chips found in the Xbox and since it is changing it graphics partner in favor of ATI, there are almost no chances of an agreement between the two companies being reached. This is more of a business problem rather than a technical issue. 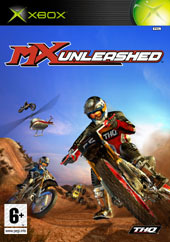 Get ready to unleash the power, the speed, the heart stopping, gear mashing, engine screaming action of MX Unleashed! Go bar to bar against the top champions in the world with physics so real that you..